Harry Treadaway as Brady Hartsfield and Brendan Gleeson as Detective Bill Hodges in ‘Mr. Mercedes’ season 2. 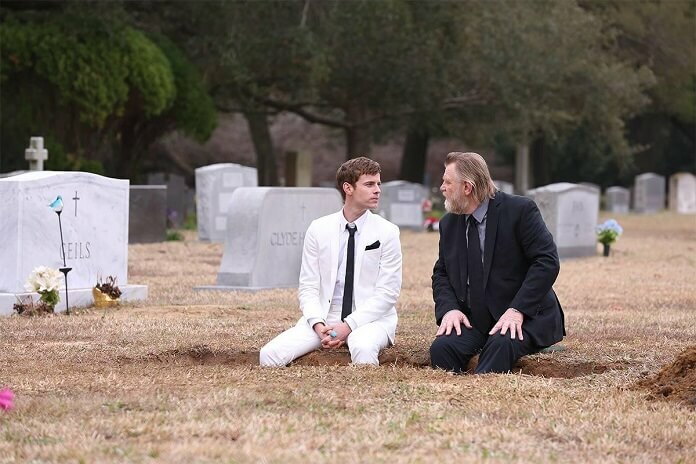 AT&T Audience Network has given Mr. Mercedes a renewal order for a third season. The popular crime thriller is based on the bestselling trilogy by Stephen King. According to the network, season three will begin production early next year. The new season, which will shoot in South Carolina, will consist of 10 one-hour episodes. AT&T Audience Network is targeting a 2019 premiere of the series’ third season. Mr. Mercedes season three has David E. Kelley (Big Little Lies, Ally McBeal) back to oversee the writer’s room. Jack Bender (Lost, Under the Dome) is executive producing and directing. Stephen King, Marty Bowen, Wyck Godfrey, Tom Lesinski, Jenna Santoianni, Shane Elrod, and Kate Regan are also executive producing the upcoming season. “Stephen King breaking story, Brendan Gleeson heading the cast, Jack Bender leading the charge… I’m excited,” stated David E. Kelley. “I am extremely proud of our show and I couldn’t be more excited to continue unraveling this story with Stephen King, David E. Kelley and our superlative cast led by Brendan Gleeson,” added Jack Bender. The cast of season two included Brendan Gleeson, Harry Treadaway, Holland Taylor, Jharrel Jerome, Breeda Wool, Justine Lupe, and Jack Huston.